Photoshop plug-in that generates virtual planets. Is there a better alternative to LunarCell? Is LunarCell really the best app in Author Tools category? Will LunarCell work good on macOS 10.13.4? 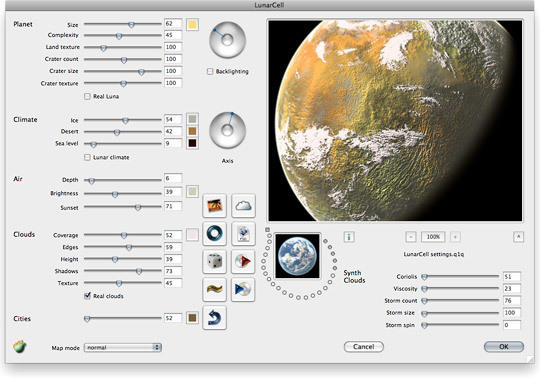 LunarCell is a Photoshop plug-in that allows you to generate instant planets: fractal, reality-based, or just strange worlds are yours in seconds. Now works in both 32- and 64-bit modes. LunarCell needs a rating. Be the first to rate this app and get the discussion started!